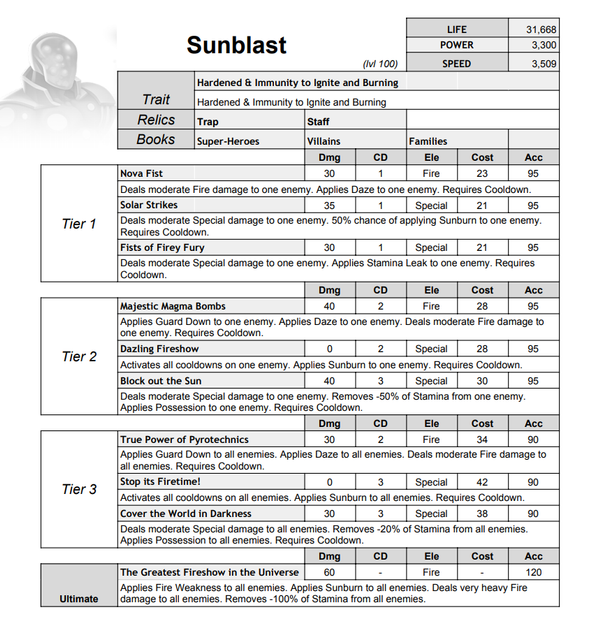 NEW Monster in the Grand Prix Race: Sunblast! Sunblast was The Firestorm's disciple until he started to disagree with his teacher on several aspects. What started as disagreements slowly turned into hate between them and ended up in the battlefield, where The Firestorm kicked Sunblast so hard that he flew off the battlefield and landed onto the sun. The Firestorm thought that was the end of Sunblast, but he was wrong! Now Sunblast is back, stronger and looking for vengeance! He is a fast Control monster specialized in Stamina draining and cooldown activation, but that's not all! He can also reduce his enemy's Precision by applying Daze and Sunburn to them or remove enemies' Stamina and Possess them in one move.